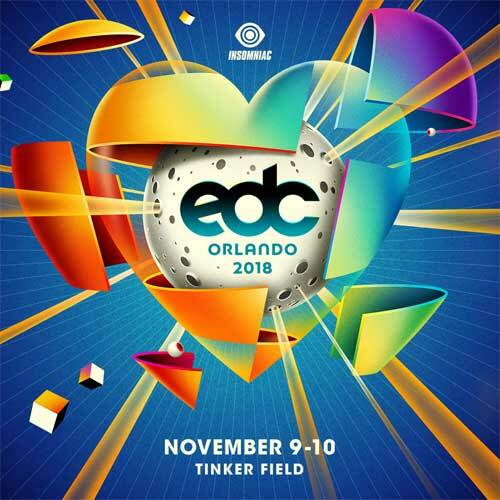 Insomniac, the producer behind North America’s largest dance music festival, announced that Electric Daisy Carnival (EDC) Orlando will return to the entertainment capital on Friday, Nov. 9 and Saturday, Nov. 10. The south and once again transform Orlando’s Tinker Field into a neon-lit carnival atmosphere accompanied by the world’s most sought-after dance music stars. Headliners will join together for another wonderful celebration of music, art, and community. Electric Daisy Carnival (EDC), unveiled a brand-new, extended VIP offerings in celebration of “20 Years Under the Electric Sky.” Taking over Las Vegas Motor Speedway June 17–19, North America’s largest and most anticipated dance music festival of the year, VIP ticketholders will explore, engage, energize and enjoy even more incredible experiences than ever before at EDC’s vast viewing decks and lounges. 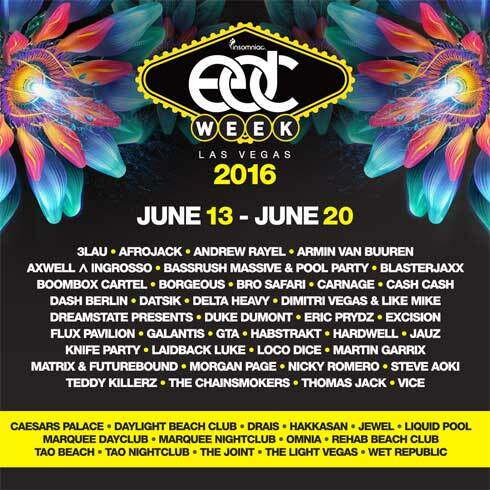 Insomniac, the production company behind North America’s largest, most spectacular dance music festival, has curated a week of incredible daytime, nightclub and special one-off events leading up to this year’s Electric Daisy Carnival (EDC) Las Vegas, celebrating “20 Years Under the Electric Sky.” With incredible venues, artists and production, EDC Week 2016 will remain Las Vegas’ most anticipated week of entertainment all year. 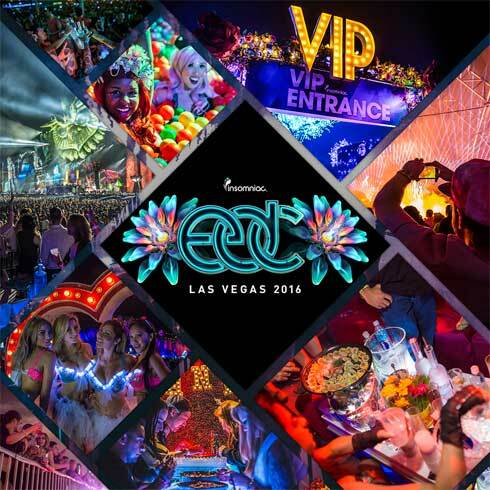 Electric Daisy Carnival Las Vegas, North America’s largest music festival, announced today by Insomniac will return on June 19, 20 and 21, 2015. 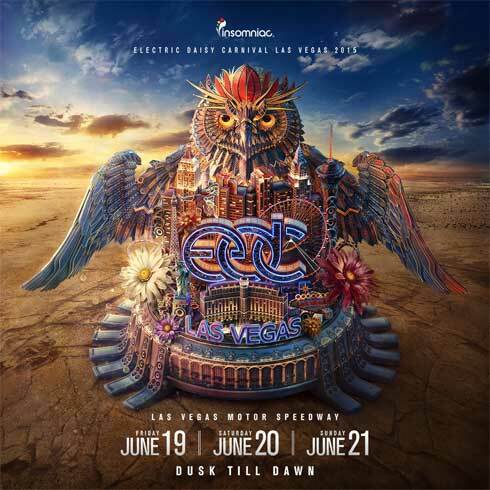 Now in its 19th year, its fifth year in Las Vegas, the long-awaited EDC music and arts festival will return to the Las Vegas Motor Speedway for another celebration of life and community.